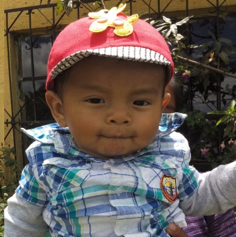 The Guatemala Child Sponsorship program is a way for us to continue the benefits of our summer mission project to the children and families in the communities surrounding Antigua, Guatemala. 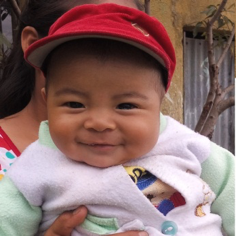 Sponsorship provides the means for these children to stay healthy and get an education. The monthly donation of $30 ensures that child gets medical and dental care, school supplies, school uniforms, and other necessities. To sponsor a child click the "SPONSOR" button below the child's photo. It will take you to a donation page. When prompted, enter the child's name in the field labeled "student name" on the donation form. Please make sure you check the box labeled, "I would like to set this up as a monthly recurring payment." If you would like to sponsor more than one child, increase the quantity at the top of the form. A second student name field will appear below the first. When finished click "Add to Cart" and enter your payment information. By sponsoring a child you will change their life, and those they touch, forever. Thank you for your generosity!